Ever since I was a kid I've wanted to build my own car. In the summer of 2006 I started a plan to do just that. When I started planning this project I had 3 main things I wanted to accomplish. 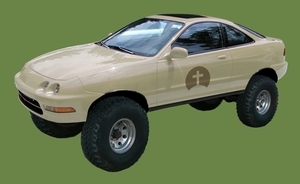 One, the car had to had to have a real 4x4 drive train(ie. 2-high, 4-high, 4-low). Two, it had to be reliable. 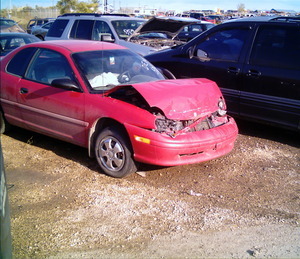 And three, it had to get good gas mileage. I'm cheap. I don't want to have to insure more vehicles then needed. 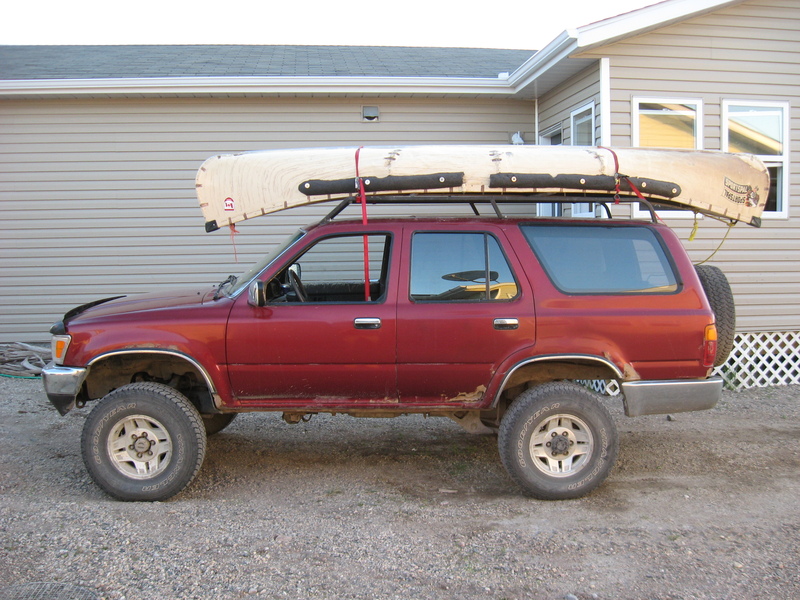 I wanted a car I could use for commuting, but also to play around with and take me hunting. So I decided to build one that could do both. My original plan was to build a new car from the ground up. Everything was going to be custom made. That plan quickly changed as I realized I didn't have the skills or the tools necessary to build the body from scratch. So I decided to build a car using parts form other vehicles. I needed to start with a solid base that had a real 4x4 system. 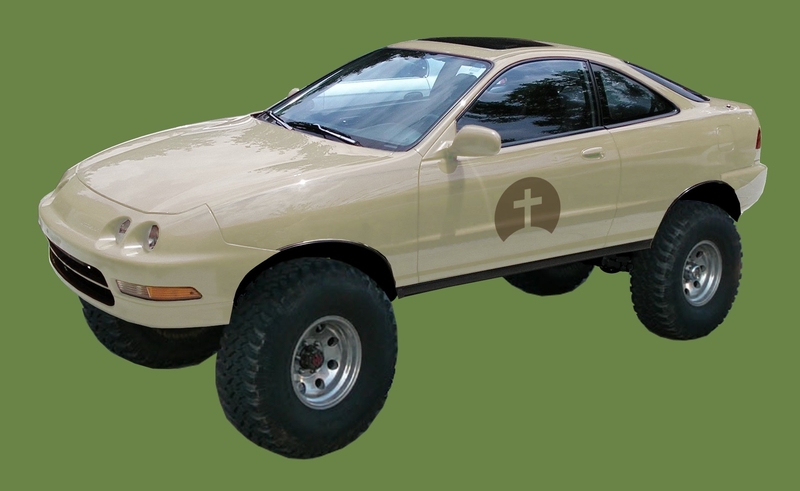 The Toyota Truck/4Runner platform rose to the top of the list in short order. Now the 22RE is one of the most reliable engines out there, but, it doesn't get the best fuel mileage(around 20mpg) so my research turned to engine swaps to increase the mileage. Diesels were one of the things that peeked my interest. They get better fuel mileage then gassers and produce more torque at low rpm's, which is something that I liked. Using a Toyota diesel was an option, but the cost of buying one in Canada or getting a half-cut from over seas was expensive. Plus, I found a diesel that was more efficient and easier to source, the VW TDI. I would also need to find a body that had better aerodynamics if this thing was going to get good fuel mileage on the highway. But I would worry about the exact body a little later. Now that I had the foundation planned out, it was time to start shopping. 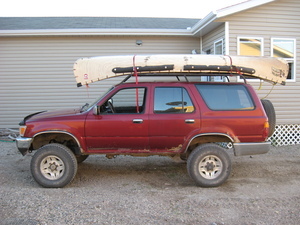 I looked at local ads and found a '91 4Runner V6 5sp for $2000 to use as the base. It had some rust but was otherwise in good condition. Unfortunately, the day I was going to take a look at it, I rear ended someone with my Neon on my way to work, writing off my car. So instead of buying the truck for my project, I bought it as my daily driver. Looking back I'm glad it happened the way it did. I did not have the tools or knowledge to build what I wanted at that time, I needed some practice first. So I've been driving that 4Runner for over 4 years. 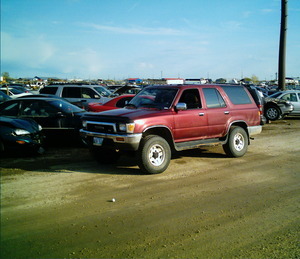 In the mean time I bought another 4Runner, '90 V6 5spd. I ended up building a bit of a trail rig out of it. Nothing fancy just something to cruise the quad trails in. You can check it out in the Off-Runner page. In December 2009, after I was done building my Off-Runner, I decided it was time to start gathering parts for this project. What I really needed was a 4cyl Toyota so the adapter would would work. For the TDI I wanted to find a write off, so I kept a watchful eye on the insurance auctions. For the Toyota and body I wanted to make sure they were at least repairable in hopes that it will make insuring the vehicle easier. The build pages tell the on going story of this project.